Gutters are a key component of your roof and they play an important role in keeping your home protected from water damage. Some homeowners see installing and cleaning the gutters as a task they can handle, unaware of how critical it is to the overall protection of your home and landscaping. Advantage Seamless Gutters, your local gutter company, discusses the challenges of DIY gutter cleaning and installation and why it should be done only by a professional. The biggest risk when you do DIY gutter installation is improper installation. Fitting the gutters onto your roof is tricky work, and it’s easy to make a mistake during this critical process. Unfortunately, nearly all gutter-related problems stem from improper installation. Even simple mistakes, such as failing to set the right gutter pitch, can leave you with a gutter that underperforms. This risk is why we recommend working with local gutter installers like us. We have the experience and know-how to properly install your gutters. When the gutters are correctly fit on your roof, your new hardware will look good, perform well, and will last as long as its service life. Cleaning the gutters is a simple enough job, but there are some cases where you’ll need a more experienced hand helping you. A good example is if the gutters have a long history of getting clogged and there’s considerable leaf-litter that’s accumulated over time. It’s near impossible to clean this by just washing the gutters as the muck and grime may be stuck completely on the surface of the gutters. This kind of gutter cleaning is time-consuming and often dangerous as you’ll have to spend a lot of time propped up on a ladder. The fact that you may encounter the random bee, hornet or rodent in the gutters doesn’t help. Additionally, and this applies to both gutter cleaning and installation, your DIY work might accidentally damage the roof. In particular, the soffit and fascia. These are the most vulnerable parts of the roof, with the fascia being the place where the gutters are actually installed. Save time on your gutter cleaning and installation by taking advantage of Advantage Seamless Gutters gutters replacement service. 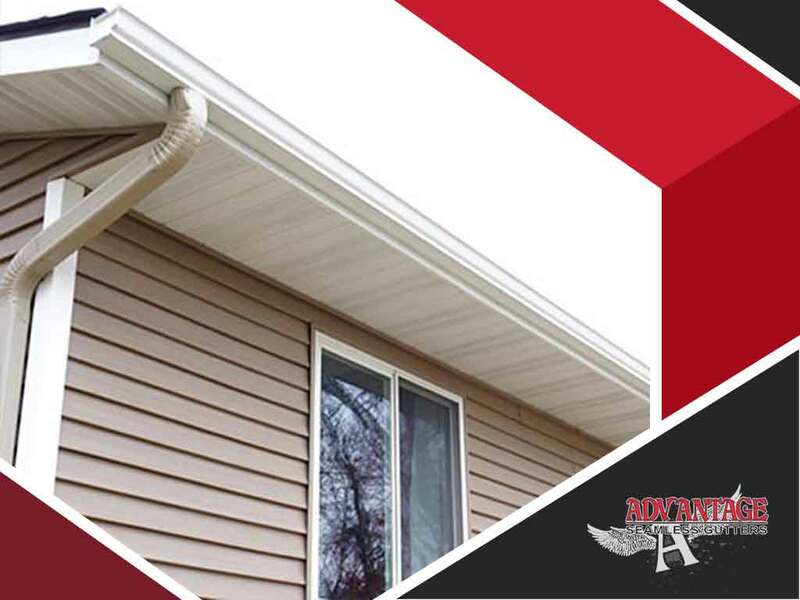 Expect quality workmanship when we install and clean your gutters. Call us today at (218) 212-1818 to learn more about our services. We are local gutter installers serving Baxter, Brainerd, and the surrounding area.